If you love escape games, you may know of escape game virtuosos Rusty Lake Studios. The Netherlands-based indie app company started a series of escape games called Cube Escape in 2015, and they are now about to release their 9th installment. The new game, titled Cube Escape: The Cave, will feature the same foreboding, delightfully morose atmosphere as fans are likely to expect from the Rusty Lake escape game series- and continue to unfold a story full of shadowy and compelling mystery. The co-founders of Rusty Lake Studios describe their series of escape games as “surrealistic adventure games,” inspired by the TV show Twin Peaks– a gloomy, dreamlike drama that was as odd as it was captivating. The Rusty Lake Cube Escape series rises above the typical point-and-click monotony of some puzzle escape games, allowing for an immersive experience for any type of gamer. The stories of the Cube Escape games are intertwined with each other and two other Rusty Lake escape games- Rusty Lake: Hotel and Rusty Lake: Roots. 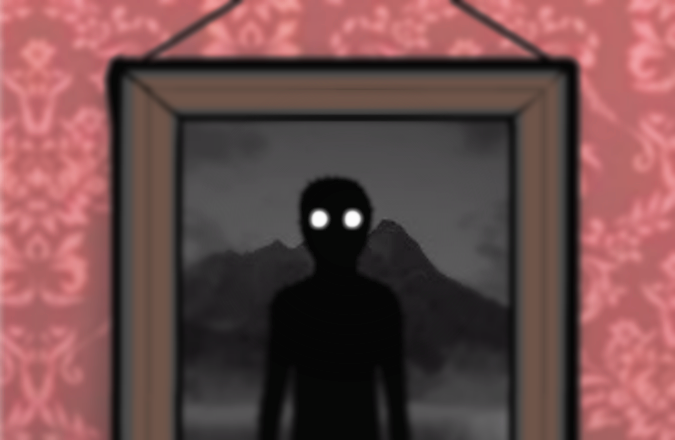 While each escape game has its own unique story line and concept, there are some clear (and purposefully unclear) ways that the stories come together as the player is drawn in to the surreal world of Rusty Lake. The creators of this dark escape game series consist of two people: Robin and Maarten. The two friends started working on news-based flash games as a hobby, until the pair took their diversion to the next level and started working on the Cube Escape game series, and developed Rusty Lake Studios. The creative duo have a small crew of folks they like to use in their escape games for voices, soundtracks, background artistry, and testing; overall, the bulk of the game’s content comes from the two men and their intricate storylines. The heart and soul of the escape room action is Rusty Lake; a magical, surrealistic, yet earthly location that feels simultaneously comforting and foreboding. Whether or not Rusty Lake plays a prominent role in each escape game, it’s always there; a reminder that you’re never really going to escape its confines. Many fan theories and speculations about Rusty Lake exist, a surefire sign that this escape game series has struck a nerve with the type of gamer who delights in digging deeper into the overarching themes of games. For this most recent installment of the Cube Escape series, the Rusty Lake developers are continuing to weave their story with puzzles that unravel clues about the overall story in Rusty Lake. Like its predecessors, Cube Escape: The Cave will be a stylized slow-burn of cerebral, imaginative content with sometimes downright frustratingly perplexing puzzles to solve. Unlike the other Cube Escape games, The Cave has an in-game hint system for those who don’t like to leave the immersive environment of the escape game to seek out a walkthrough video. Since the Cube Escape games are free to download and play, the hints are exchanged for an ad- which may annoy some players, but will hopefully lower some of the monetary losses resulting from releasing a free-to-play escape game. For new Rusty Lake players, there can be a lot of confusion about the story and how it unfolds: luckily, there is a specific “path” to take in terms of what order to play the Rusty Lake escape games in. That being said, those new to Rusty Lake/Cube Escape games should note that the these escape games may have a suggested order, but it’s in no way a linear journey. We’ve already said too much: download all the Rusty Lake/Cube Escape games to see for yourself! Rusty Lake: The Cave comes out for iOS and Android on March 23rd, 2017. Previous articleThree Fathers Are Discussing Their Sons… Funny Joke of the Day!